ICE Backstage @ TDU was such a memorable night. It was our second year hosting the event and we were excited to see the overwhelming show of support from our ICE members, partners, cycling enthusiasts and friends. 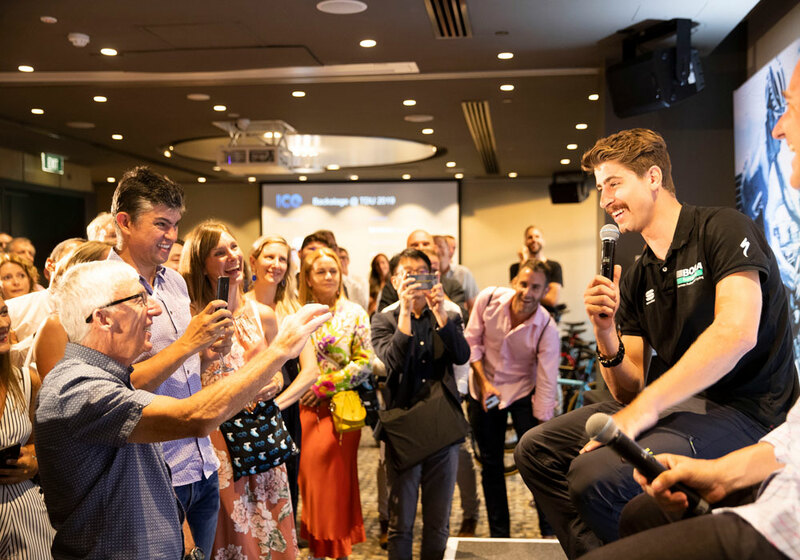 With an incredible line-up of cycling talent, including Mitchelton-Scott riders Cameron Meyer and Luke Durbridge with sports director Matt White, followed by the man himself, Peter Sagan and an inspiring chat with Dimension Data’s Doug Ryder – we know it’s going to be hard to top. Special thanks to Team Virtu’s Rachel Neylan for sharing her insight into the Women’s TDU and to Brad McGee for dropping in to draw the winner of our Specialized Tarmac bike giveaway.